AliDropship Ultimate Custom Store – How Does it Measure Up? Last updated on March 29th, 2019 EarthaDropshippingLeave a Comment on AliDropship Ultimate Custom Store – How Does it Measure Up? You may recognize AliDropship as a WordPress dropshipping plugin and you would be right. However, the company also provides custom dropshipping store creation as well. There are many benefits to what they offer in their custom store packages. Maybe you are trying to decide if a custom store is worth it and if so, is AliDropship Ultimate the best option? I’ll compare the packages and point out what the major differences are in order to help you decide. How Does the Plugin Differ from a Custom Store? The AliDropship Plugin is the software behind the custom dropshipping store. The plugin itself is a WordPress dropshipping plugin. It converts any WordPress installation into a dropshipping eCommerce platform that sources products from AliExpress. You can buy the plugin on its own and create your store yourself. It is very easy to use and makes creating your store easy. The custom store feature does all of the work for you. The AliDropship team will build your store and even handle important tasks such as niche market research. When you order a custom store you are also assigned your own personal manager. Your personal manager will request all of the necessary details from you for how you want your store customized. They will also assign you a BaseCamp (online project management tool) account where you will be able to track the progress of your store. You can also provide your feedback and ask questions along the way. There are so many key features which are included with the AliDropship custom store service. 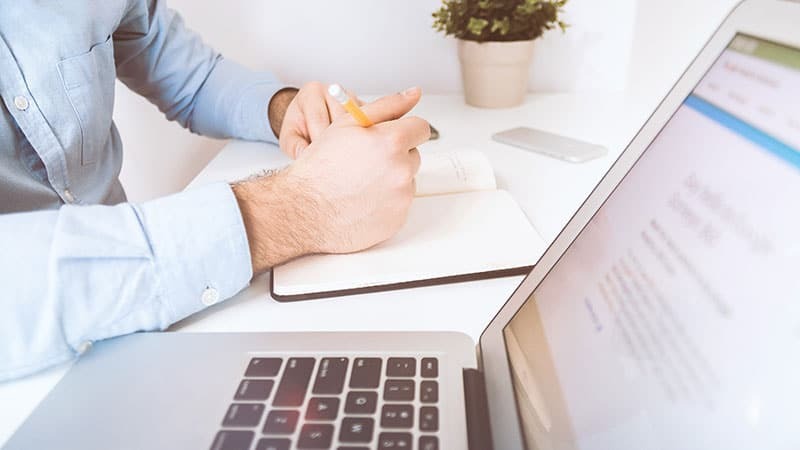 Niche research – They select a trendy, high-demand niche for you after analyzing it for stable long-term positions and a great potential in future. Custom design – You get a unique design including a custom logo, header images, icons, favicon, banners, etc. Mobile devices ready – A perfect responsive design fitting the screen size of any device, whether desktop or mobile. Google Analytics integration – GA stats integrated – to keep you informed about the website’s traffic, its sources, visitors’ behavior, conversions, etc. Up to 12% AliExpress cashback – Get up to 12% cashback for your every purchase on AliExpress. WP dropship plugin – The plugin allows searching, importing and updating products on your site directly from AliExpress quickly and easily. Payment gateways – AliDropship Plugin supports the most popular payment processors like PayPal, 2Checkout, Stripe, PayU. Delivery time – You’ll have a full-fledge dropshipping business: 5 to 15 days depending on your package. On-site SEO – Increase visibility within the organic search results and to deliver targeted traffic to your site. Social pages – Accounts of your business on the top social networks and integrate social buttons and widgets on your website. Many people find niche research is often the most difficult part of building a dropshipping store. With a custom store, you don’t have to worry about choosing the right niche. Unless you have one in mind, the AliDropship team will use their expertise to research a popular niche that will also have longevity. Importing products yourself using the AliDropship plugin is easy. However, it can still take up a bulk of your time when creating your store. This aspect of building your store is taken care of for you. Depending on which package you choose, you will have 50, 100, or 200 products imported and ready to sell. Keep in mind that once you receive your completed store, you can import an unlimited number of items. Graphics creation is another feature that many people find challenging. If you do not have any experience with creating graphics, you would need to outsource this work. Fortunately, this is a feature included in your custom store. They will create a logo and other supporting images for your store’s design. SEO (search engine optimization) is what helps to generate free targeted traffic to your website. 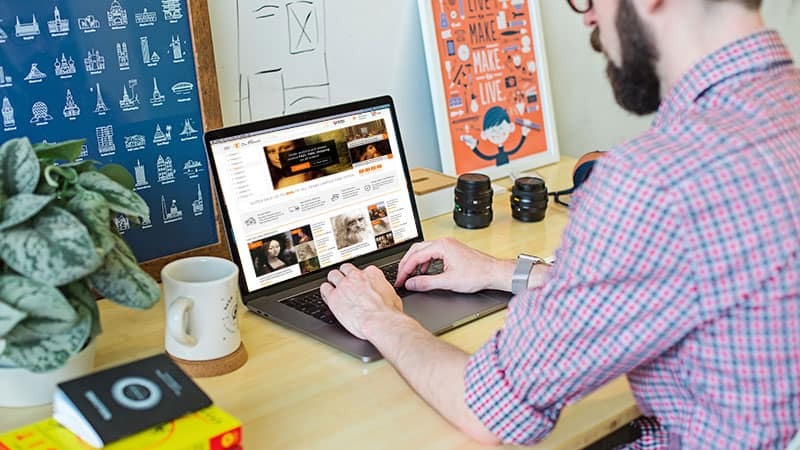 Your custom store includes on-site SEO features such as meta data, Google indexing, and social bookmarking. What is Included in the AliDropship Ultimate Package? The AliDropship Ultimate package includes everything listed above and several extra features. The on-site SEO feature also includes a homepage SEO article. The social pages creation feature includes all of the major social media sites: Facebook, Twitter, G+, Instagram, and YouTube. You will also have a promo video created which will outline the benefits of your products and services. The Ultimate package also includes AliDropship’s social media promotion tool which automates the posting of your products on Facebook, Twitter, and Instagram. If you have been searching around for other custom dropshipping store services, you may be pleasantly surprised with AliDropship’s process. I’ve done my own research on similar services and so far, none of them seem to offer nearly as much as what AliDropship does. One thing that I noticed about some custom store services is a promise to have your store built in 24 hours. In my opinion, that is a huge red flag. How can you have a custom store built in so little time? An AliDropship custom store takes anywhere from 10 to 23 business days to complete depending on the package that you choose. You’ll gain a better understanding of all that is involved as you read the process below. After you have selected your Ultimate store package and complete the payment process, you will have a personal manager assigned to you. Your personal manager will set up a Basecamp account for you which is an online project management software. The Basecamp software will let you follow along with each step of your store’s progress. You can ask questions, provide feedback, and meet the developers that will be working on your store. The questionnaire will help your personal manager understand any specifics or special requests that you have for your store. All of the technical aspects of your store will be handled by the development team. 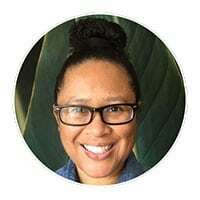 They will install WordPress and the AliDropship plugin, set up hosting, payment gateways, register your domain, set up Google Analytics, and more. Choosing a good niche is an important aspect of your store. If you haven’t chosen a niche, the AliDropship analysts will conduct niche market research for you. They will select an in-demand niche based on current trends, SEO potential, and other general parameters. This process alone is well worth ordering a custom store with AliDropship. 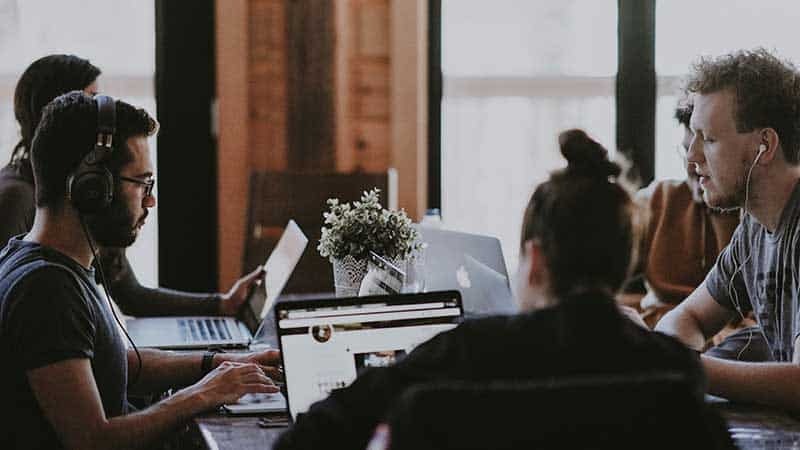 Unlike similar services that will bulk import random products into your store, the AliDropship team will research which products are trending, in-demand, and have a great track record for sales. They will also set up the proper currency and markup formula for your product pricing. After your store’s theme is installed, the team will also create custom graphics for your store such as your logo, header images, and favicon. The team edits every product page they’ve added to your store to help get the highest possible conversion rates. They use SEO (search engine optimization) to help drive organic traffic to your store. Finally, they will create your store’s social media account pages so that you can promote your store on those platforms. 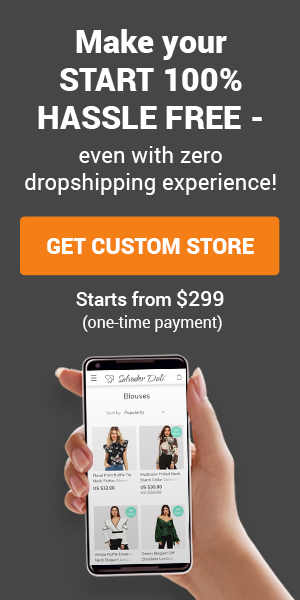 Regardless of your experience with dropshipping, you can have your own custom dropshipping store that uses the AliDropship plugin. 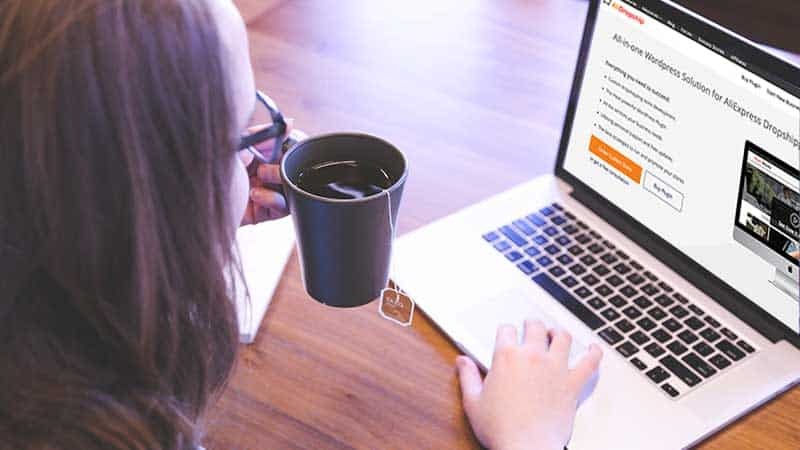 Ordering an AliDropship custom store saves you time which enables you to begin promoting your store faster and earning profits faster as well. 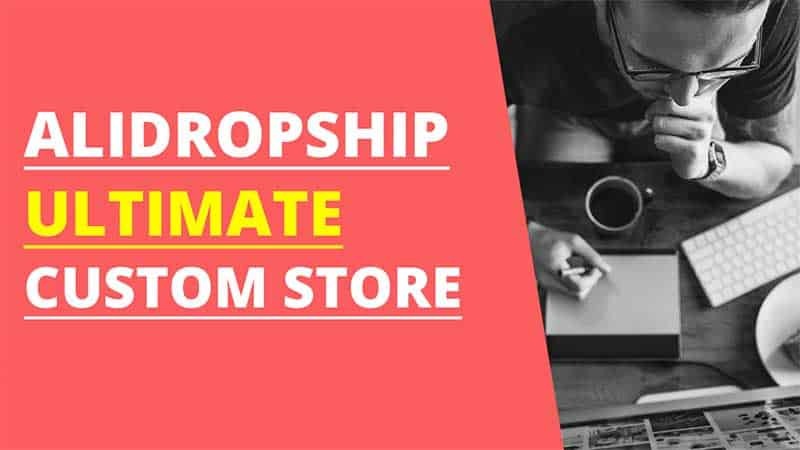 The AliDropship Ultimate package is an ideal solution for anyone that wants a 100% hassle-free way to have their own dropshipping store up and running quickly. ← Affiliate Marketing vs a Job – How Do They Compare?